When Faith asked doctors Lauren Robertson, Emma Husain and Pranay Sinha what they would change in medicine, she expected to hear a chorus of sighs, and tales of red tape, bad policies and broken systems. What she heard instead made us reevaluate what it means to change and make change, answers that called for intimacy and real human connection as weapons in the crusade for better care. And so the podcast that was supposed to be about “change” changed. Rather than examples of inhuman forces making the act of human care challenging, it became a story of how when faced with human problems, doctors and patients must become more human about the way they approach and solve them. With compassion, our first and only constant can truly be a change for the better. We are our only hope. This transcript is for the medical and med school podcast My First Cadaver. Enjoy! “My First Cadaver” is sponsored by Med School Tutors. United from the far corners of Middle Earth to help students reach the highest pinnacle of medical exam scores, the MST Team is truly the ultimate fellowship of tutors. “If by my life or death I can help you score high, then you have my study schedule.” “And my clinical knowledge.” “And my axe!” “We don’t need an axe.” “Oh…” For every Frodo starting their adventure there’s a Samwise to have their back. Let Med School Tutors be a part of your origin story. Together, we can save the world. In all honesty, I thought the doctors I interviewed would talk about all of the legal, insurance, and archaic institutional hoops they need to continuously jump through as practicing physicians. Or about the hazing and the baptism by fire med students endure as they embark upon their clinical work and medical careers. But as this episode came together, something far different emerged. Dr. Lauren Robertson will start us off. One of the things that is less common in medicine now that I would love to change would be to get back to having a trusting relationship between doctors and patients. I’m not going to blame that on the legal community, I’m not going to blame that on society; it’s just where we are. But I think that fundamental nature of the doctor-patient relationship is really a very trusting and a very sacred thing, and when we rush it and we put it in little check-boxes and things like that, it’s very impersonal, and it takes that relationship nature out of it, and that’s all we have left. We may have the internet, we may have medical diagnostics and things that don’t require people, but the one thing that is unique to being a doctor is that your ability to have a conversation and be with that person is something that can’t be replaced by a computer, because every person is different and every interaction is different. It’s not something you can put in an algorithm and spit out the right thing. That’s the thing in medicine that is going away, and it makes me sad because this is what people endeared about their Norman Rockwell experience of their physician. It can still be that way, but doctors need to take it upon themselves to work on themselves to be able to be present and be with their patients. That’s their responsibility—our responsibility, as a profession. When I go to a doctor’s appointment, it reminds me of how weird it is to sit in a waiting room and then go in and change into a paper outfit. It’s weird. To always put yourself in the shoes of that patient. This is not something they do every day. They have a concern, and to be able to be with that person in that moment and not be preoccupied, or not be looking at your pager, not be thinking about your next patient, and actually be present with that person is a gift to that person. Disease—for all of the things it does, it causes us discomfort, pain, it can kill you—I think the thing it does to you the most in the hospital, is it makes you lose your humanity. One the things that happens when you get really sick and you go to the hospital, the first thing that’s gonna happen is that you’re gonna lose your clothes, you’re going be in this gown, and somebody’s going to put an IV in your hand--this tiny little tube, right? Then people are walking in and out of your room whenever they want to, they put you in generic, terrible blankets and sheets... you won’t be using whatever you use at home. 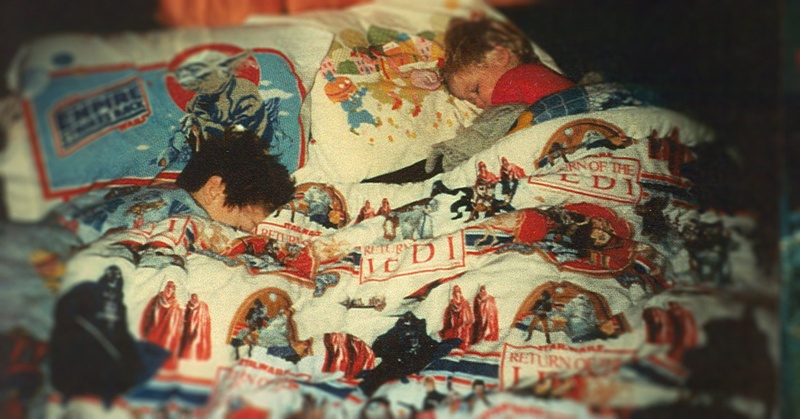 If you have Star Wars sheets, you won’t be getting those in the hospital. I think what I want to do with patients more in rounds—and I think we do this at Yale—is we try to do bedside rounds. The point of bedside rounds is to inform the patient and share our decision making skills with them so they can see what we’re doing. Because surgeons will come and cut them and do things to them, but they don’t see what we are here for, we internal medicine doctors, we spend tons of time thinking about them but they don’t see that. At Yale we do the bedside rounds to facilitate that. Then we sit down with them and sometimes remind them why they came to the hospital because a lot of them forget. The question for me is to always restore their humanity, and one of the ways I do that is I make eye contact with them, and I’ve encourage their families to bring them stuff from home—photographs or a blanket, or pajamas they like. But I think that is something we should do that more often and more consciously. I think that will also remind us that we’re not just dealing with a piece of meat. We are dealing with a real human being, feeling. There’s a great article by Eric Cassel, called The Nature of Suffering, in which he talks about the fact that as physicians, we end up focusing on physical malaise and physical illness and pain, but suffering has so many other dimensions. One of my favorite things he mentions is that every human being has a transcendent dimension, and we forget that. And people treat you pretty generically. I think rounds should do everything possible to efficiently restore the patient’s humanity to them. That’s ultimately what our job as physicians is. Our job is to restore their identity, their humanity, to them. That’s why we do this. Because I’m in the unique position of being a physician that got cancer at one point and so going through the American medical system as a patient. What I noticed is that I would say I was treated better because there is more ability to relate to a fellow physician who happens to be ill, so I know that on many occasions, I had a more deferential and courteous treatment, particularly by the physicians. But I would say that I really did feel like a body. I really did feel like nobody cared outside the context of it being their job to not get sued and for me not to die or have complications. I did definitely feel like meat, not a human. A couple of mistakes were almost made that I caught, so that was very scary because it makes me think that without medical knowledge, people are really at the mercy of their physicians, who may or may not be that good. Mistakes happen, and you can’t catch it if you don’t what’s going on. When you caught the mistakes that the medical team almost made, did you bring it to their attention? Was it a doctor or a nurse? Mistakes in medicine. Even as a lay person, I can feel the weight of that statement. And yet, to err is human. Regardless of how small or large a mistake may be, I can only begin to fathom the kind of courage it must take for a doctor to admit that they’ve made a mistake, much less sit down with their patient, accept responsibility, and apologize. But where does that fit in a system or a society where we place an obscene amount of pressure on our medical professionals to be perfect? How do you teach people to be human, to take a chance on being human, to take a chance on being vulnerable as a doctor? Where do you even start? Well, honestly, I started with some personal and professional development work, and I feel like that really helped me. It gave me some really tangible tools to be really present with what I do. Frankly, I realized about a year and a half into my private practice that I was just “doing.” I was just showing up and doing the job, and I wasn’t feeling rewarded. I wasn’t feeling good, I wasn’t enjoying what I did. And when it came down to me thinking, gosh, what is it going to take for me to enjoy what I do every day, I realized that that’s all about me. I don’t need to change my geography or my job or my partners or my patients. I just needed to change how I was showing up for them and what those people were giving to me. All of a sudden it was like a shift, and I showed up to be with those people and be a resource for those people, not with a fear that I was going to do something wrong, not with a fear that I wasn’t going to get it right, because I don’t get it right all the time—nobody does. But to have that ability to say that to a person and to be with that person, and say, “Look, these are the three things that can happen, and I’m not sure what’s going to happen, but this is what we’re going to try, and if it doesn’t work, we’re going to go on to something next, because I’ve committed to you feeling better.” That 10-second interaction makes that person feel heard, and make that person know that you are listening to them, and you’re able to articulate to them what their concerns are because you sat with them and listened. It’s a very hard conversation to have with people when things go poorly, as if the mistake or the error weren’t punishing enough, there’s a lot that comes with that that makes your humanity come out, and your humanity says, “I want to protect myself and I want to hide,” so what happens is people cover stuff up and people blame other people or people make excuses. When you’re sitting on the other end of that as a patient, you feel really unsatisfied. Even though it feels like the harder route, you say, “Hey, you know what? I made a mistake and I take responsibility for it, and I’m really sorry,” 99% of the time, the patient will look at you and go, “OK. That’s OK.” And you won’t end up in court, and you won’t end up in trouble, or whatever. I’ve had that happen with a couple of patients, where things had gone poorly, and by being completely open and honest--which of course makes me feel nauseous, because you’re just sitting there in front of someone saying, “I made a mistake”--every outcome that I’ve had, the patient understood. They’ve been OK with it. It hasn’t been a problem because I’ve taken responsibility for what happened and not made excuses and not covered anything up. I think that’s what you can promise a patient. Say, “Look, this happened, and here’s what we’re doing to make sure this doesn’t happen to anybody else.” But that’s something that has not penetrated medical education, has not penetrated, frankly, the medical community in general, because there are those outlying stories of patients that are still ticked off and they file a lawsuit or whatever. They have their rights. It’s just how the system works, but by and large, it’s that whole thing your mom teaches you when you’re five and you’re trying to steal gum from the Plaid Pantry down the street: honesty is the best policy. It still holds. It holds when you’re wearing a white coat, it holds when you rear-end someone parallel parking your car. As a physician, you don’t know everything. The worst thing you can be is too proud. The best thing to do is look things up. Tell your patient, “That’s a very good question. I don’t actually know the answer to that, but I’m going to find out for you,” and looking for it in that moment or looking for it afterwards. Admitting mistakes. A lot of mistakes get made because people don’t double-check because they’re too proud. Pride is a really terrible thing in medicine. Being a physician is an important job, and I just think that needs to be tempered with humility, and understanding that you’re still a person, and that even if you’ve reached these great heights of education and profession, that you’re just as likely to make terrible mistakes as you were before you became a physician, when you were still just a citizen. Being proud or arrogant and having an elevated view of your position in humanity is a really bad way to go with this, not because you won’t be a very successful psychosocial physician, but also because you’re going to make a mistake and you’re going to get sued at some point because you didn’t check, because you were too proud to ask, double-check, look something up. Being a generous person is its own reward. It rewards you a thousand-fold in all of the things that come back to you. It’s a far better selfish tactic than actually being selfish. Being generous, you actually get more out of other people than if you’re just looking after number one, so it ends up having this paradoxical effect. When you’re generous with your patients, and I know that it’s only a certain amount of time that you can spend with a patient—I don’t mean generous with time, but being generous with energy and attention and compassion, which can fit in the same amount of time as a non-compassionate, non-empathetic patient visit makes a more positive dynamic, which leads to the appointment being a more positive thing. It relates to the patient giving the physician positive attention and energy, which makes the physician feeling a little bit better, more satisfied, like “I did a good job here.” So it’s actually just easier to remember that if you’re kind, your day will go better, not just the patient’s day. The more that you treat a patient like a person, the more they will not treat you like a service. I think that more people tend to be brave enough to see each other as human beings, whether they’re talking to their doctor or lawyer or friend or family member or whatever. Or to be brave enough to let yourself be a human being in the first place. That’s the biggest challenge for all of us, really. Yeah. And I think there’s a big fear that if you do that, you’ll be vulnerable, you’ll be exposed, and someone will take advantage of that. I’d like to propose that it’s actually the opposite, that you’ll actually be respected, that you’ll be listened to as a person of integrity. A big concern as a physician is “I don’t have time to sit and listen to people talk, talk, talk.” There was a study done where they looked at how long the patient talked before they were done. The average patient talked for less than 60 seconds uninterrupted. When I heard that, it made sense to me in med school, but I didn’t actually put it into practice until I was comfortable enough with myself to shut up. And that’s a hard thing to do. When you do it, it’s priceless, because you get exactly the information from people that you want out of those questions. It may not come in the direction you had planned, but you get it and that person feels listened to, because when people are able to talk uninterrupted, they feel heard. When you’re able to articulate back to them what they said, it’s even better. And it’s efficient. With the advent of electronic charting, we’ve asked you to chart and talk to a person all at the same time. For a lot of people that’s very difficult to do. I’ve worked with a couple of physicians who do it really, really well, but it takes an effort. It is being mindful and trying not to multitask. People may think they can, but their efficiency is just terrible. LR: It’s very poor. Their efficiency is very poor. There’s a lot of social science and neuroscience research being done right now on this whole texting phenomenon, and we’re demonstrating that all of this distraction is, even if you think you’re dealing with it, it’s taking you away from being efficient at the task at hand. We’re dealing with that in medicine, too. We’re dealing with it everywhere. There’s one more thing about being a patient. It sounds obvious, but I think it’s worth mentioning. It’s really scary. I’ve been healthy my whole life, and suddenly I had cancer. Obviously, I thought I was going to be one of those people that didn’t get cancer, because that’s what we all think. We all think that it’s not going to happen to us, and then it does, and it’s terrifying. I think it’s good to know, as a physician, that you may not be dealing with the best version of this person right now. In other words, maybe I am able to deal with a cold-hearted, uncompassionate individual when I am my best version of myself, but I wasn’t, so all of those things hurt a lot more—the lack of empathy, the lack of compassion, the lack of respect, the lack of politeness, the lack of caring, the lack of humanity. Those things were all much more disturbing when I was a patient than they are when I’m traveling on a metro or trying to buy something at WalMart. There, it doesn’t seem to be an issue because the stakes are lower. So a little goes a long way with compassion, just to put that patient at ease. When you ask me about what I would change in medicine, I think the thing that is the most frustrating about medicine right now is the fact that not everyone can access it equally, and because we’ve made a system in this country that not everyone can go to the doctor, or if you do go to the doctor it’s prohibitively expensive, or if you don’t have insurance, if you show up in an emergency department, the whole society pays for it, is just super screwed up. It is a basic human right to be able to care for your body, and to have a system in the most developed country in the world, in the richest country in the world, where we have millions of people, even now, who cannot access insurance, is embarrassing. It’s embarrassing that we have technology that costs millions of dollars that we’re treating one person with, and we have people who can’t even have a primary care visit—it makes my head spin. It’s an environment that’s been predicated by private insurance, and lobbyists, and the drug market. Direct-to-consumer advertising in the mid-nineties is probably the worst thing that’s ever happened to medicine. That whole market aspect of the way we run our medical system has put the dollar in front of the person. We’ve just got to decide at some point what our priorities are. I really don’t want it to take a big crisis in medicine, or people getting really sick, or something really awful happening before we change it. I just want to see it change, because we have an amazing, amazing population of doctors in the United States that are dedicated and that have, frankly, put their lives on hold to do their education so they can be this person for other people on the planet. We need to make that accessible to every single person. We could have spent the entire episode on this topic. However, the team and I decided to distill it down for this episode so that we could start a larger conversation that will be devoted to this topic for a later episode. For now, to wrap up, let’s go back to Pranay. There’s actually a physiological basis to the placebo effect. The mind and the body are not separate; the mind is in the body. So, clearly, if you do something to the mind, you will do something to the body. That is the same effect that we invoke when we wear white coats and we have these plausible demeanors and we are constant about our therapies; we make a lot of eye contact, hold their hands, reassure them. I don’t know if everybody consciously does that to evoke the placebo effect, but we should. What I was getting to was that some doctors are not potentially the best informed or not taking the best care of people consistently, but they have the best demeanor, and their patients love that. I’ve come across people like that in my travels, and they are some amazing physicians who don’t come off as physicians, because they don’t connect in that way.There are a lot of good studies that show even things that don’t work, will work if people believe in them. That’s why I thought we should be very cognizant that when we walk in that patient’s room, we’re putting on an act; we’re putting a character, a persona, and that persona has healing potential, and we should never forget that. Whether you’re a doctor or a high school student, it’s easy to feel like a victim. It’s easy to convince yourself not to take a stand because you believe you’re powerless. But where does your power truly live? Yes, when it comes to medicine, the system is truly broken and oppressive, and breaking doctors left and right. But we can all start small to make a bigger change. Start by getting back in touch with your own humanity, your passions, your calling, your spark. Heal yourself so you can continue to heal others. Talk about your mistakes. Care for yourself. Be gentle with yourself, and firmly stand up for what you believe is right. If you speak your truth and lead by example, you’ll inspire others around you to do the same. And, by doing this, by tapping back into your true power, you will actually begin to change the system in the process, one vulnerable human step at a time. Thanks to Drs. Lauren Robertson, Pranay Sinha, and Emma Husain; the My First Cadaver Team; Papa Claire Music and Compulsion Music; partners and friends at Salted Stone; and special thanks to Robert Meekins, who is not a doctor. Stay tuned for Episode 10, coming to a listening device near you.